The Hon. Jeffrey Atherton, the Hon. J B Bennett, the Hon. Pamela Fleenor, the Hon. Tom Greenholtz, the Hon. Kyle Hedrick, the Hon. Jeff Hollingsworth, the Hon. Travis McDonough, the Hon. Don Poole, the Hon. Christie Sell, the Hon. Clarence Shattuck, the Hon. Gary Starnes, the Hon. Lila Statom, the Hon. Barry Steelman, the Hon. Christopher Steger and the Hon. L. Marie Williams. Finally, thank you to the numerous members of the CBA for volunteering their time and support! Congratulations to CSTHEA Green (homeschool students) and Signal Mountain Red for advancing to the state finals in Nashville! On Feb. 28, the CBA presented a video conference training seminar on the new website implemented to assist attorneys who are a part of the Lawyer Referral Service and to easily assist clients in finding an attorney (www.chattanoogalaw.org). Because several attended, CBA Executive Director Lynda Minks Hood had to move the training to the Mountain City Club. If you’re interested in being a part of the LRS, contact the CBA at 423 602-9430. Look for further opportunities to be posted by Lynda in her column and email notices to our members. On March 2, we honored our members who passed away in 2017 at our annual Memorial Service. Thank you, Nora McCarthy, for chairing this committee. Our history and members need to be remembered. On March 9 at the Chattanooga Convention Center, the American Cancer Society honored Lynda with its Life Inspiration Award for her fight against cancer. Steve Jacoway and his firm, Patrick, Beard, Schulman & Jacoway, sponsored two tables of support for Lynda and for their own cancer survivor, Cara Alday. Mike Alston and his firm, Husch Blackwell, sponsored a table and attended, and board members of the CBA and YLD leaders sponsored a table and attended in support. Special thanks to Lee Ann Adams, Barret Albritton, Matt Brock, Sheri Fox, John Harrison, George Hixson and Judge Sell for their support. On March 14, the U.S. District Court for the Eastern District of Tennessee hosted a reception honoring our community leader, John Medearis, as clerk of the court. Congratulations, John! On Cinco de Mayo, the CBA and the leaders of the Young Lawyers Division of the CBA are partnering with La Paz to provide educational resources and instructions and answer questions related to immigration, employment, landlord-tenant, family and will and estates law to the general public. See this column next month for more details about this special event and outreach effort. If you want to help, let the CBA know. We’re hopeful that this initiative will also provide members of the minority community more reliable legal resources to consider and rely upon as we work against the Unauthorized Practice of Law. Thanks to Frank Pinchak, chair of our UPL committee, and Sam Elliott, who have been working especially hard to stop offenders. 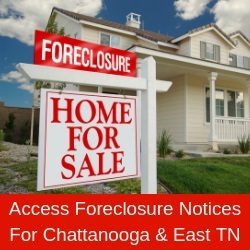 If you want to assist the CBA in stopping UPL offenders, let us know by visiting www.chattanoogabar.org and accessing either the “For Attorneys” or “For the Public” section. On May 18 at the Westin, the CBA will host its annual Law Day celebration in the morning. The key note speaker will be Sen. Bob Corker. Thank you, Lynda, for reaching out to Sen. Corker; we’re excited to have this extraordinary leader speak at this event. Look for more details about this event in Lynda’s column and CBA mailings. On May 16-18, the 75th Judicial Conference of the Sixth Circuit will be held in Nashville at the Music City Center, with lodgings at the Westin Nashville. An opening reception for all conferees will be held on Tuesday, May 15 at the Westin. Please consider expanding the Chattanooga community’s influence by attending. Thanks to Paige Evatt, who’s chairing our Access to Justice committee, whose mission is to foster, encourage and facilitate the CBA’s efforts to ensure access to the justice system by those who cannot afford it and to provide pro bono services to low income residents of Hamilton County. This year, the YLD will hold the second annual Expungement Clinics, where first-time offenders who qualify for expungement of a criminal offense may have the offense expunged with our aid. Look for notices and check out this column on the last Friday of each month. The CBA’s “When You Become 18” booklet will be given to every high school senior in Hamilton County in the fall. Lynda secured funding again from Hamilton County Mayor Jim Coppinger and the county commissioners. Thanks especially to Rob Carden for his work on updating this publication. Haley Moody, Frank Clark and Andrew Godbold also deserve credit. A downloadable PDF version of the booklet is available on the CBA’s website (www.chattanoogabar.org). The CBA regularly offers excellent and affordable CLE to our community. Look for notices from Lynda and sign up. The CBA has already scheduled around 15 seminars! To service both our bar and the citizens of Hamilton County, the CBA arbitrates fee disputes. Thank you, Barry Abbott and Paul Hatcher, for chairing the Fee Dispute Committee. Nicole Osborne is chairing our legislative committee, which keeps us in touch with our members and other committees to help them consider and address legislative issues. And thank you, Bill Colvin, for your work on the By-Laws and Fee Dispute Policies and Procedures of the CBA. Bill is also working with the CBA in analyzing state rules changes. Misty Harris and Rick Marcus have agreed to assist. Thank you, Bill, Misty and Rick.